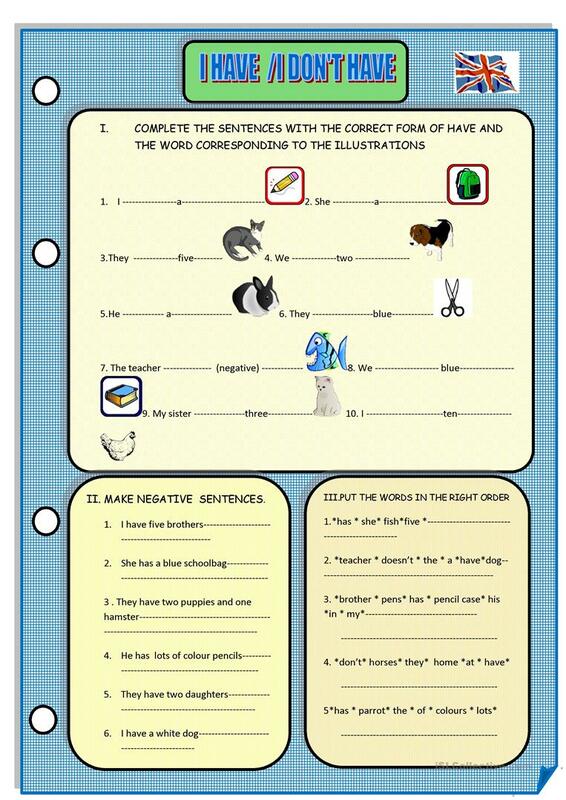 Today some variants of the worksheets I sent yesterday but to practise "Have" as a standalone verb without got: "I have". "Do you have? ", "I don't have". Shall we say it in the American way, with names of animals here: some of you may find it useful. This downloadable printable is recommended for high school students, elementary school students and students with special educational needs, learning difficulties, e.g. dyslexia at Elementary (A1) and Pre-intermediate (A2) level. It is aimed at revising HAVE GOT or HAS GOT in English, and is useful for honing your learners' Spelling, Speaking, Reading and Writing skills. It focuses on the theme of Animals.